The Quasi Screen is a decorative stair enclosure for a private residence in Las Vegas, NV. The aim of the project is to transform what would otherwise be a conventional safety barrier into a dynamic and singular element for the home’s interior. 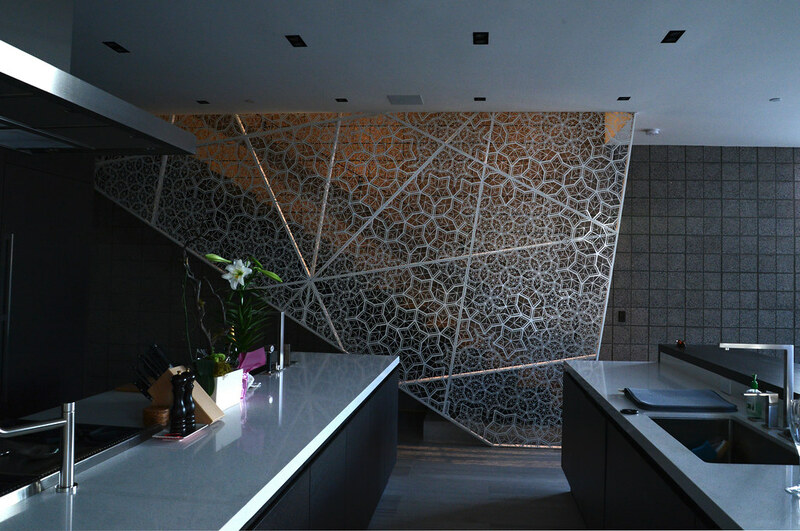 The screen features a fractal quasicrystalline pattern cut into its steel panels. The panels are brake folded, powder coated and mounted to a steel frame that follows the crystalline structure of the pattern.